My Great Grand Parents had a cabin on the Island and my family has spent many years on the Island. My dad loved the Island to the core and spent his childhood hunting, fishing and camping up there..
We spent a majority of our years tenting during deer season and often stayed near the airport. I spent many mornings hunting behind the airport as a kid with dad. Look forward to spending sometime on here remembering and perhaps making plans to come back for a visit again soon. I was only 12 and could not wait for 87 to roll around so I could actually hunt. I hunted one year on the Island before we started going to the UP. My buddy Jon never got to "hunt" the Island, just walk around and sit with his old man.. They have a youth hunt now and I saw a big buck that was taken. Today begins the bow hunting season. There are still a few deer left. Consider finding your own spot on BBI to hunt. Come on over. Hi Doug, welcome to the site! I've enjoyed reading your posts about your youth. Hope you can make it to the island soon. I certainly will be making plans for a return visit to BBI for deer season. Its good to hear there are a "few" deer around and the seasons there are still in full effect.. I remember the last few seasons we camped there. We had a small spot between the airport and the gravel pit that we pitched the tent right along side the road. Those years we only shot 2 deer total but the memories were the trophies taken from those hunts! As life goes on, things change. The area you speak of. may now be owned by Greg Shannon. He had a ditch cut across the road into the former gravel pit area to keep people out. That is why I mentioned finding your own place to hunt. There are still a lot of other places to go. Sorry about the old hunting area though. So are you saying the Shannon owns in and around the gravel pit area now? We obviously spent most of our time hunting behind the airport around the little and big clearing, the East West Trail, North Trail, Shoe Road area. Is the land behind the airport still open to hunters? Hunting around the airport has become challenging. There is a large group that hunt out of a cabin that is built right near the runway, the Fullerton group from St. Ignace. Shannon owns the lands north of the Township's airport property. Those fields you mentioned may be his hunting land now. He owns at the east end of the runway and may in fact own some of the runway unless things have changed. The shoe road now curves over and connects with the big clearing, and the old well in the clearing is filled in. That is a good thing as someone could have fallen in it and never gotten out. The gravel pit area was used up when the airport was paved. That ridge area where the old railroad grade was, is now under the asphalt on the airport. That area is over the line south of Shannon and in Bob-lo Gardens Sub. The road into the former pit crosses Shannon's land to get there though. You need maps showing the lot and section lines to figure out where and where not to go. Confusing. I used to hunt all over back there too. I gave up and now hunt over on the north side, or behind my home at Sand Bay. Wow - thats good intel right there Mike. Shannon owns the lands north of the Township's airport property. This is Dr. Greg Shannon. I don't think he is related to the Shannon's in Pointe Aux Pins. 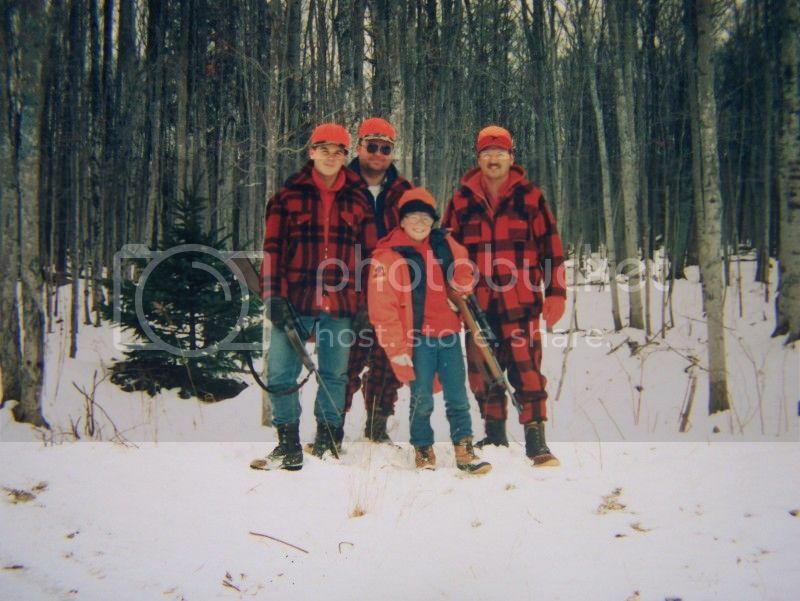 Greg and other doctors formed a land partnership for deer hunting. It is a limited liability corporation. Any chance Matt Shannon is on this forum? If you are - Sound Off..